Most references to “green” construction regard building structures in a manner that is low impact on the environment. Back in the day there were two M.I.T. trained brothers whom developed another definition for “green” construction. With an extra “e” at the end of green these brothers established the architectural firm of Greene & Greene in Pasadena, CA (1894-1922) . Charles Sumner Greene and Henry Mather Greene were West Coast contemporaries of East Coast based Frank Lloyd Wright. Their style was a bit warmer than Franks. Infused with textures and inlays using the richness of rain forest woods like Mahogany, Ebony and Teak their design had a home grown craftsmanship ethic and sensibility to it. The Greene’s and Frank Lloyd Wright shared an interest in Japanese architecture. Frank Lloyd Wright tended towards the clean straight lines where as the brothers embraced the more shapely pagoda type qualities found in Japanese architecture. If you look close though you will see similarities between Frank Lloyd Wrights design and the Greene brothers. The rich artistic design that characterizes a Greene home is recognized as pillars of “Arts and Craft” or Craftsman and “ultimate bungalow” style of architecture. Probably the most famous Greene & Greene home was designed in 1908 for David and Mary Gamble of the Proctor and Gamble company. The Gamble House remained in the Gamble family until 1966 it is now owned by the city of Pasadena, CA in a joint venture with USC’s school of architecture and is registered as a National Historic Landmark. Over 30,000 people a year come from all over the world to tour this home. The Greene & Greene brothers talent transcends time and place by inspiring builders and architects here in the NW. 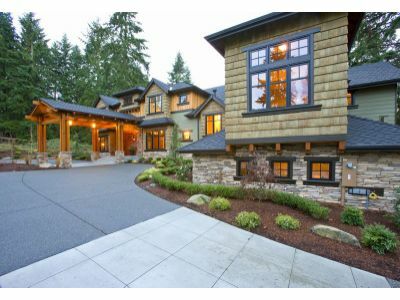 A spectacular Greene & Greene inspired home was just completed by Davies Homes. 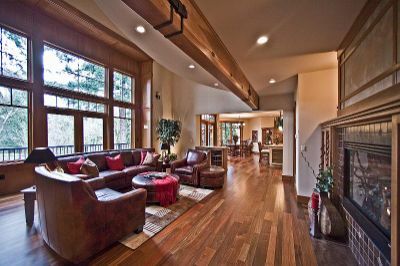 Built in the Wine Country of Woodinville on Hollywood Hill. A bucolic 1.6 acres provides a picturesque back drop featuring a peaceful, tranquil pond and an area for a vineyard. This home is on the market for $2,250,000. It is over 6,000 sq. ft. and has 4 bedrooms, 6 baths, 4 fireplaces and spectacular craftsman quality finish work that would make the brothers proud. Generally it is very intresting kind of investment, but I think that real estate is loosing it’s price too much. I own a site with database of prices for Moscow real estate and from the begining of this year it wasn’t grew…. Anyway american real estate is more stabil in this case. Thank you for your comment. I can only speak to the market in the Seattle area which is a good market compared to the rest of the country. Our problems with real estate here stems from the lending market. There is interest and good buyers for real estate. Although, many of the buyers are having difficulty with financing. And unfortunately, our media is very focused on the negative news related to real estate. So, this has great influence on buyers so they wait for the market to hit bottom. In my opinion, the smart people are buying now. An American tycoon known as John D. Rockefeller once said “The way to make money is to buy when blood is running in the streets “. Many Americans understand this to mean buy when nobody is buying and sell when nobody is selling. This is very applicable to our market right now. I tell my buyers if they can get a loan right now they should buy the most home they can.